In August of this year, the National Park Service will celebrate its 100th birthday, marking a century of overseeing and maintaining America’s national parks and monuments. 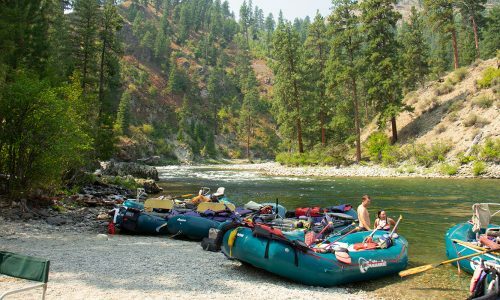 As you can imagine, the NPS has a number of special events and activities planned throughout 2016 to commemorate this auspicious occasion, with several prominent brands in the outdoor industry joining suit. Among them is Buff, Inc., the makers of the Original Buff, the versatile line of headwear made most famous by contestants on the CBS series Survivor. This month, the company launched a few new editions to its line-up, using vintage artwork inspired by six of the most iconic national parks in the U.S. These new Buffs retain everything that we loved about the product in the past, but feature artwork that is sure to delight fans of those wild destinations. The new National Parks Collection from Buff includes unique and stylish designs that celebrate Yellowstone, Yosemite, the Great Smoky Mountains, the Grand Canyon, Glacier, and Rocky Mountain National Parks. Each of the prints is colorful and distinct, with images that depict a well-known aspect of each of the parks. For instance, the Yellowstone version features a graphic of Old Faithful – the famous geyser that is found there – while the Yosemite Buff bears an image of El Capitan and Half-Dome. These special edition Buffs are made from the same fabrics that are a part of the company’s popular UV line, which have the ability to protect wearers from the sun by blocking 95% the all ultraviolet rays. Those same fabrics provide wicking and quick-drying properties, which makes them great for use in active endeavors. As with all other Buffs, there are 12 distinct ways of wearing them too, ranging from a headband to a neck scarf, with plenty of other options inbetween. 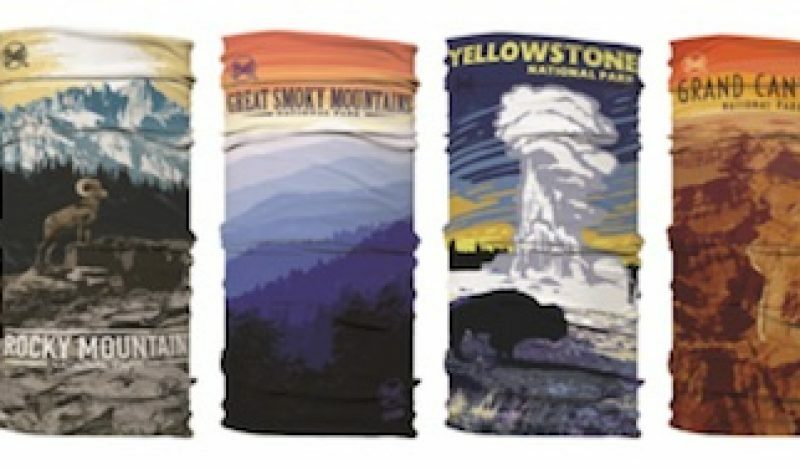 Each of the six national park editions of the Buff sell for $25, with a portion of the proceeds going to the American Hiking Society, a nonprofit dedicated to protecting and promoting the use of foot trails across the country. Find out more at BuffUSA.com.